Attention: We are in need of 2 people to take over Programs for the 2019-20 school year. Without these Vice-Presidents; your Wellington PTA will not be able to continue offering after-school enrichment programs. We need your help! 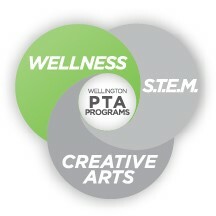 For more information on how you can help, email jim@wellingtonpta.org. We are pleased to offer a variety of enrichment programs for your student. Each program will be focused around one of our THREE core program offerings. S.T.E.M. – Science. Technology. Engineering. Mathematics. Once registration is live, click on the "Register" link next the program for which you want to register and follow all of the steps until you get a confirmation. Spring Registration will go live Wednesday, April 3rd @ 9pm. At 9pm you will see a "Register" button appear next to the flyer links. Hoop Academy (basketball) with Val Whiting has unfortunately been cancelled. She has had an injury since the flyers were printed and is unable to continue with the class. We want to hear from you! Do you have ideas for new programs or feedback on current programs? E-mail suggestions to your VP of Programs. Follow the registration process all the way through to the Payment Page. On some programs - you will receive an e-mail after you complete the Student Information Page - this is NOT a confirmation of your registration. Keep going through the process until you complete the Payment Page - even for a free program! Your registration will be complete after that page. You will receive a confirmation e-mail at that point. 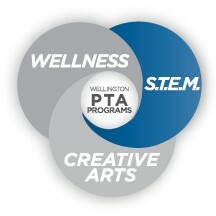 If you pay by credit card make sure to return to the Wellington PTA website before closing your browser as the confirmation e-mail gets auto-generated at that point. Scholarships are available! 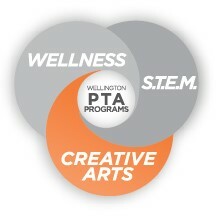 Register for the desired program, choose the "Pay by Check" option and then email us at scholarships@wellingtonpta.org.